Many of you want to do better in math competitions. This desire often becomes more pronounced after you participate in an on-site competition, such as HMMT (Harvard MIT Math Tournament) or ARML (American Regional Math League). I think what motivates you in this type of competitions is sitting in the same locations in which the results are published, the scores are graded, and the awards are given. All of this happens on the same day and in the same spot, which makes the competition feel similar to other sports competition. Particularly in the HMMT Guts round, where you can actually see your school’s score displayed in real time on a scoreboard, the tournament feels as close as math can get to a sports game. Even students who have been studying all along with me suddenly ask me after these events, “How can I do well in math competitions?” There is sincerity and desire in their voices. I will tell you how to do well. For you to do well in math, first you have to have basics down. This includes your ability to do simple computations: adding, subtracting, multiplying, and dividing. If you’re not good at this, you can use NextMath to improve your speed. Once you have these simple computations down, you will need to know certain numbers. For example, what is 27? You have to know it’s 128 without blinking. Same thing goes for 210, 162, and 192. You have to know all these numbers. Fortunately, there are only about 30 of these numbers, but you need to know how to handle them. For example, 152 is 225. Knowing this, would you be able to tell me what 1.52 is? (Many students say it’s 22.5, but the answer is 2.25.) All these memorizations you can easily practice and firm up by using NextMath. These may take weeks to months to master, depending on how prepared you are. Some extremely well-prepared students take only a day to ensure they’re well-versed in these numbers. After you do this yourself, you can begin to prepare for the actual competition. Most importantly to prepare for math competitions, you have to solve problems — but not in the way you think. I will tell you how to solve problems so your scores will rise. First and foremost, you must solve each problem yourself. If you look at a problem’s solution, you might nod your head and believe that you understand it, but you will not improve one bit studying that way. You have to bang on the rocks with your eggshell head over and over until you solve the problem yourself. Of course, depending on each test, this is a very difficult task. So in these difficult cases, you should not look at the solutions but rather learn the required knowledge to solve the problem. Of course, this required knowledge feels like a bottomless pit of math to learn. The subject is so vast, and you don’t know where to start. You might have as many as six math books, which are daunting to go through just to do well in one math competition. Besides, you might have been motivated just a few days before the test. So what do you do? The best action is to go through my knowledge-based lectures. When I make math lectures, I separate the basic required knowledge for math problems into both knowledge-based lectures and actual solutions to each problem, or solution-based problems. Do not watch the lectures about specifically how to solve one problem first; but do watch the generic knowledge-based lectures. Afterward, ponder about the problem. That will improve you. This is equivalent to studying from a math book, except I’ve pre-selected which section you should study for each specific problem. This knowledge-based approach to learning math is more efficient and immediately gratifying than learning how to solve just one problem. Similarly, solving each problem yourself — rather than watching a teacher solve it — is an obvious way to answer your math questions. If you think about sports, the analogy couldn’t be clearer. If you want to get stronger and hire a personal trainer, would they lift all the weights for you while you watch them, nodding your head vigorously? No! They stand by and yell at you. “You can do it! Three more!” And all that yelling and screaming is so that you do the job. To find out how top math coaches around the United States coached their students into becoming champions, I asked them every time I meet them at large math competition events. And they all said the same thing: They make students solve problems. They don’t teach, and if they do teach, that’s hardly a big part of the students’ training at all. Great coaches are not those who teach more, but rather those who make students solve more problems. It might sound odd until you compare with sports: The great personal trainer is the one who makes you lift weights. (Duh!) What else could they do? Lift it for you? Same thing in math. One of the best ways to begin to practice for competitions is to take a test that is easier than the one of your competition. For example, if you are preparing for AMC 10, take AMC 8 first. Go through the problems without looking at the solutions one-by-one. You will of course check if you got the questions right at the end, but you will first solve them. If you are truly stuck about what to do, then look at my knowledge-base lectures. There you will become equipped to fight this problem. It’s the equivalent of being faced with a big cliff you cannot jump over, but being given the right tool, such as a ladder, to do so. You will find in my lectures a ladder you can use to push yourself with your own feet over this cliff. The ladder becomes your tool, which you can take to other cliffs afterward. This is how other students do it. This is not cheating, taking ladders from my lectures, but rather how you gain problem-solving skills. Even if you get the question after pondering, still look at my knowledge-base lectures. You might find you solved the problem the harder way. Instead of taking 30 seconds, you might have spent 10 minutes. Yes, you got the right answer, but you might have missed the essence completely, which happens quite often in competition problems. One method I learned from my own student is to take a blank notebook along with one sheet from one test, such as AMC 10 or AMC 12 or AIME (American Invitational Math Exam) to practice. Put down each date you begin to work, and start solving the problems one-by-one. Write down each problem number, and keep track of all the dead-end solutions that don’t work. That notebook will become a massive body of knowledge for you to look back to. Also, it will give you a true sense of accomplishment when you look back on how you’ve improved your knowledge. 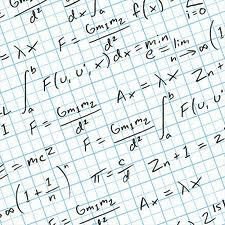 Raising your math-competition scores is actually quite simple; it’s no different from losing weight or gaining muscle. If you consume fewer calories than you expend, then you lose weight. If you keep lifting ever heavier weights, your muscles will develop. There’s no way around this. The same applies to math. You solve problems without cheating — that is, without looking at the solutions first — and you keep trying till you crack each one, then your brain will form mathematical muscles, and you will get stronger and score higher. There’s no other way around this. However, the issue is motivation. Everybody knows they should exercise and eat sensibly, and yet people are gaining weight because they are not motivated enough to act on what they know. That’s one problem with math-competition preparation as well. After a while, you lose steam, and sitting in a hall solving math problems seems like such a boring thing, and blah blah blah. So how do you motivate yourself? Use that notebook, which should be getting thicker. It should be like watching your bank account grow, making you want to save even more knowledge in there. And participate in all math competitions. It will be a good measure of your improvement, thus motivate you further. First, decide which test you want to take and start practicing by taking a test one level lower. Build up from here. Never look at the solution first; try to solve the problem yourself. It is not uncommon to spend a day or two holding on to one problem. Modern students who are used to the routine of solving many simple problems might find this hard. But if you never overcome this time expenditure, never get into the habit of spending hours and days solving one difficult problem, you will not be able to do well on math competitions. If you need help, look at other books or see my knowledge-base lectures, which will pinpoint the exact knowledge you will need without showing you how to solve a particular problem. That part you have to do — because it is your muscle you want to strengthen. If you are truly stuck on a problem, then move on. Go to the next one,and return to this one later. But the key is, crack each problem yourself. Remember: This could take you hours, days, maybe weeks to solve a single problem. I’m not exaggerating. That’s normal. That’s how it’s done. Get started now, not tomorrow, and start your preparation to dominate the world. Thank you for your interest. Currently it is available only for my students. I will announce it when I have a commercial version available. where may I access your video lectures? Thanks James ! It was a good read. help! I need to win the Sunray chienese math bee! is next math available to the general public?